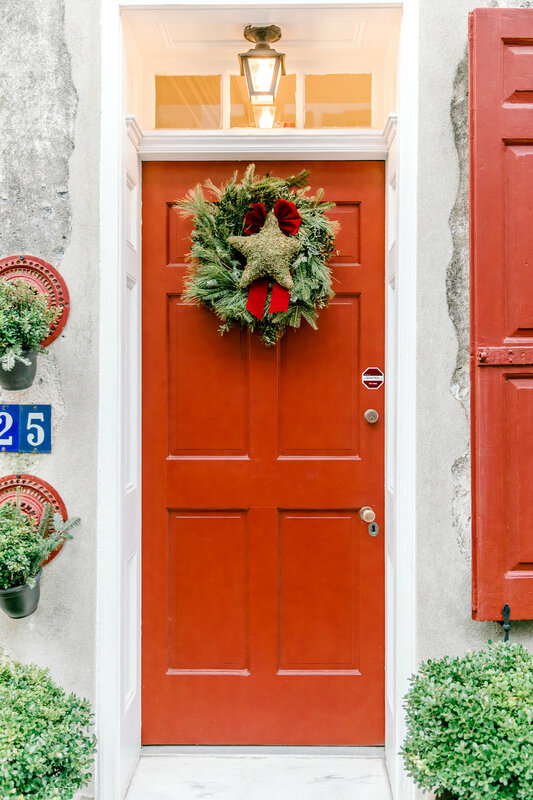 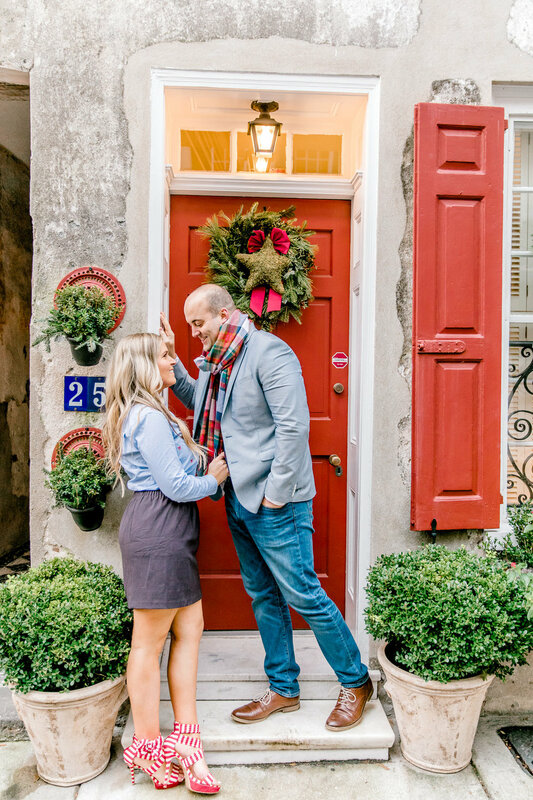 Charleston is always an amazing place, but it gets even more magical during the holiday season. 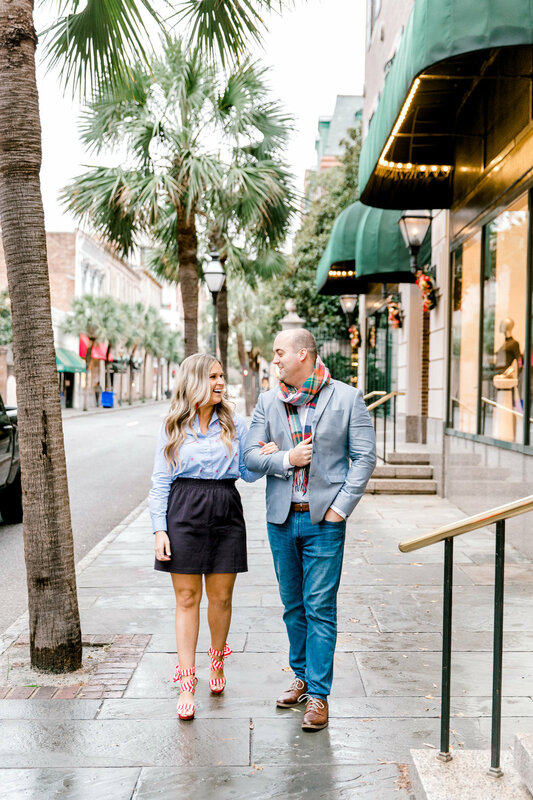 For their engagement session with Emma Allen of Emma Lili Photography, Megan and John chose to highlight all of the festive fun happening in the Holy City this time of the year. 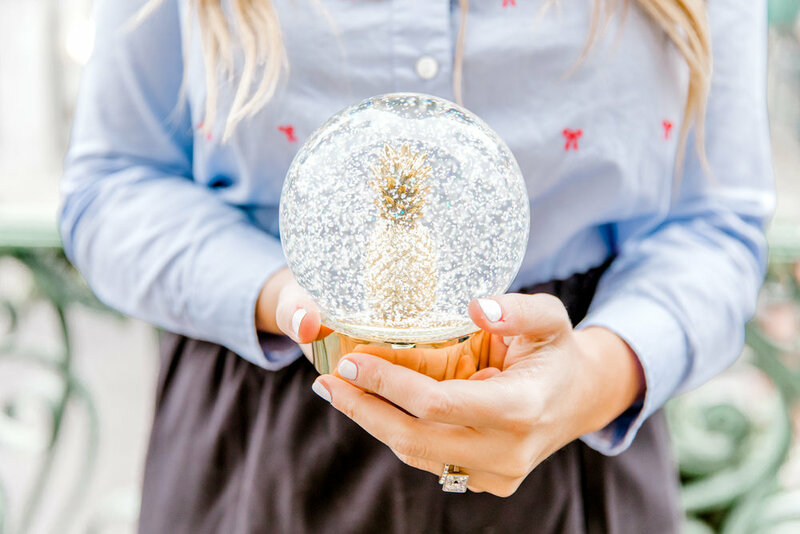 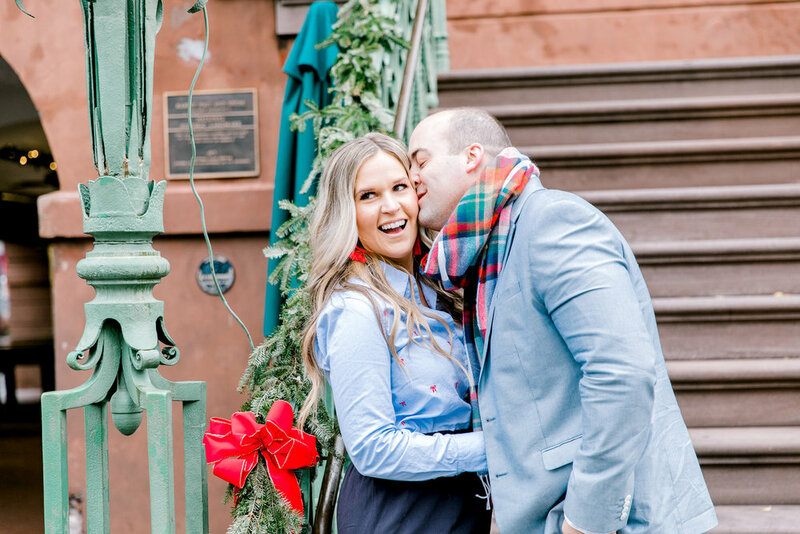 Their engagement photos pop with Christmas spirit, thanks to some special wardrobe choices and a few seasonally-perfect portrait locations! 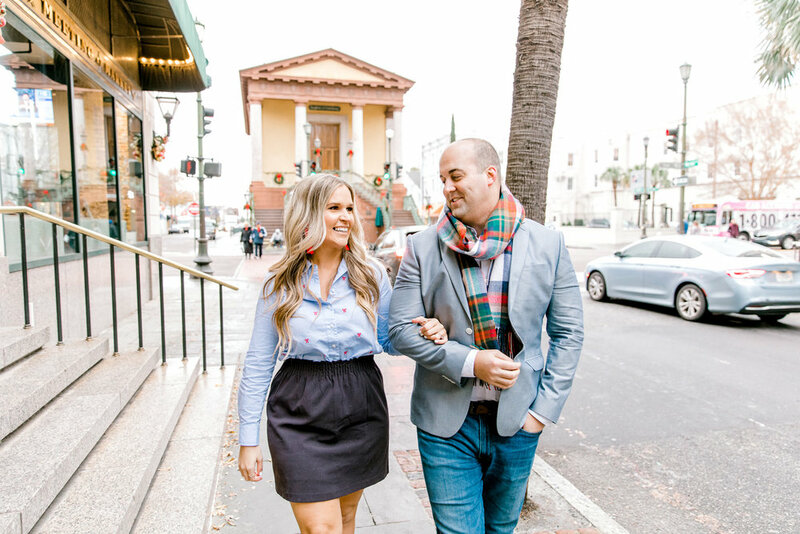 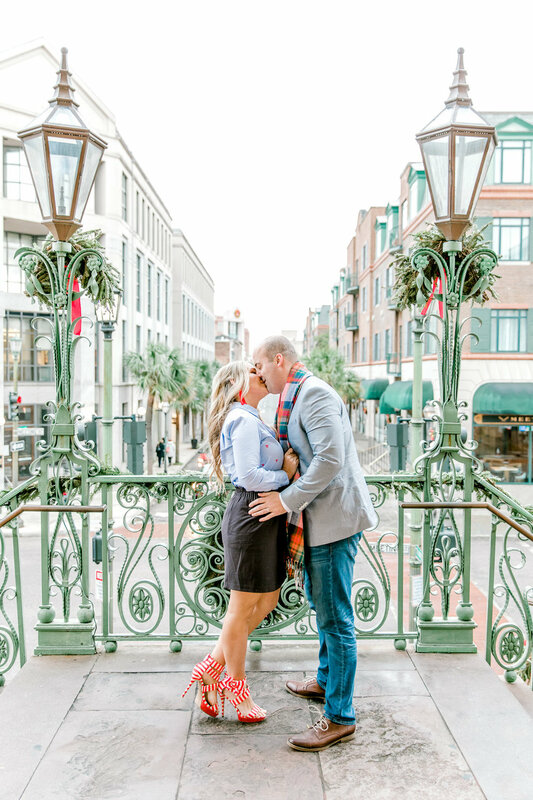 Along with John’s bright holiday scarf and Megan’s red earrings, the couple were the embodiment of the Christmas season as they frolicked around downtown.